Have you ever tried something that was so yummy, you almost got angry at it? Because you knew you’d be addicted and craving it for the rest of your life? That’s how I felt the second I tried the soft shell crab bun at Kobeyaki on the Upper East Side. 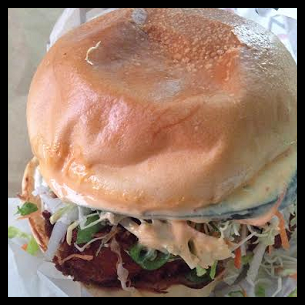 The crunchy ocean-y crab, soft bun, shredded greens and carrots, cucumbers, and duo of Japanese and spicy mayo is ridiculously bomb. Also, the buns are light and slightly sweet – totally reminds me of those signature Hawaiian rolls. I’m a creature of habit, so I haven’t made my way through Kobeyaki’s full menu yet. But another dish I can vouch for is the tuna tataki salad. 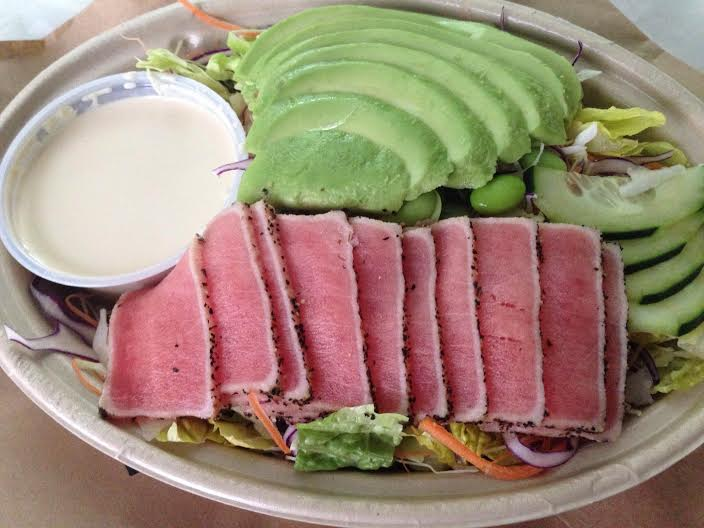 This salad includes shredded romaine and napa cabbage, seared tuna, edamame, scallions, cucumber, and an amazing creamy ginger dressing. Pair it (or anything else) with the tempura sweet potato fries, and you’re golden. Another Kobeyaki favorite among NYC locals is the sauces – seriously, order the sauces. The spicy mayo and wasabi mayo are to die for (duh… anything with mayo is a must have). So if you’re on the Upper East Side and looking for a quick bite that won’t leave you feeling disgustingly full and heavy, stop by Kobeyaki or check out one of their other locations around the city.